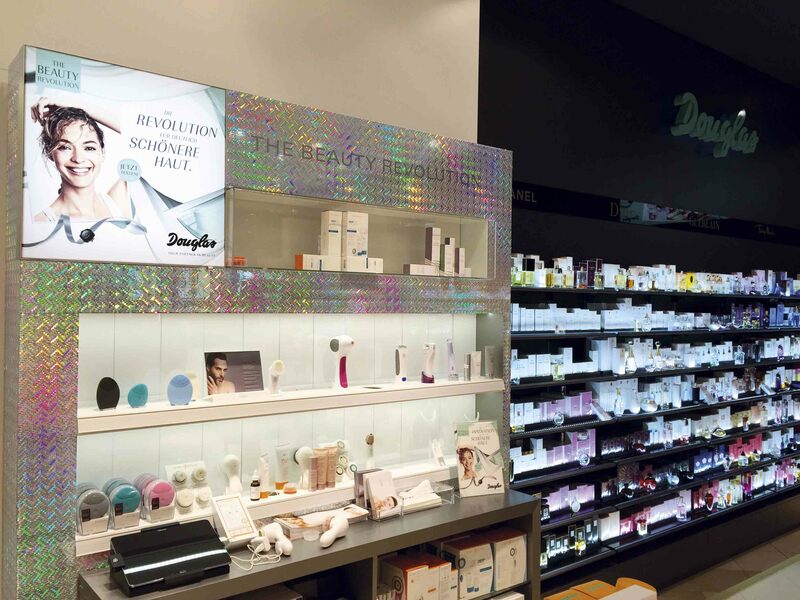 Quality interiors and design are the key to making your cosmetics store stand out from the crowd. Whether you are a standalone storefront or a smaller booth in a larger shopping mall, you can use interior design principles to make your mark and be noticed for all the right reasons. You need to offer a relaxed, pleasurable, and special shopping experience for your customers. Cosmetics products are considered by many to be a luxury (and include skin care, body care, and fragrance). Reflect this in the design of your shop. Design your retail space to your target audience – is your brand targeted to the high end luxury market, a younger demographic, or somewhere in between? Is it elegant and classy or fun and trendy? Make sure that your interiors reflect your brand identity. Choose beautiful interiors, including luxury design panels from SIBU DESIGN which offer everything from flexible mosaic patterns, leather wall panels, mirrors, and much more to achieve a very special result. Or you may prefer the modern and clean lines of Durallo panels, Zenolite high gloss panels, or Wilsonart surfaces. All of these have a place in making your cosmetics store stand out with their uniqueness and a range of applications. Display your merchandise in a fresh, clean, and uncluttered way, making it easy for customers to browse. Only have a limited amount of product on display (keep items which will be sold put away out of sight). This lends to the notion that cosmetics, fragrance, and skin care are something very special. Have mirrored walls or panels readily available throughout the store and have plenty of space between display stands or cabinets that is easy to navigate, giving customers plenty of room to move. Great lighting is imperative in a makeup store. You need to not only make sure that customers can see the merchandise; they need to also be able to clearly see how it looks on them in great light when they choose to test a product. Choose signage that represents your brand identity and design your space from there. Dibond panels for signage are one example of what is available; include your brand logo and font to reflect your brand and continue this and the colour scheme of your signage throughout your store. Choose your colour scheme wisely – reflect this in your panels, fittings, counters, and furniture. Most cosmetics stores prefer white, black, red, and silver, yet you can make your design and colour scheme your own. Dress your staff. Have staff uniforms that reflect your brand identity – make them look professional, special, and instantly identifiable, and this will further translate your message that your brand is something very special. It’s not difficult to design a fantastic cosmetic store that stands out and attracts the right customers – those you are targeting and who will be very willing to buy from you!